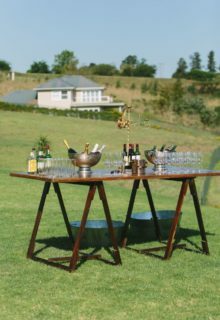 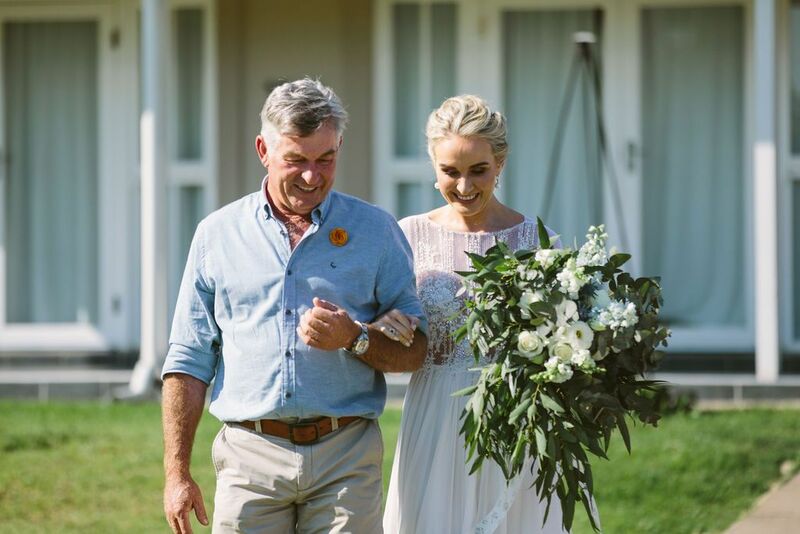 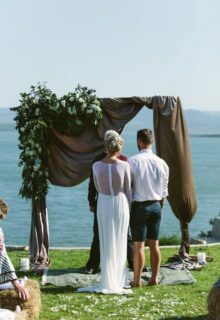 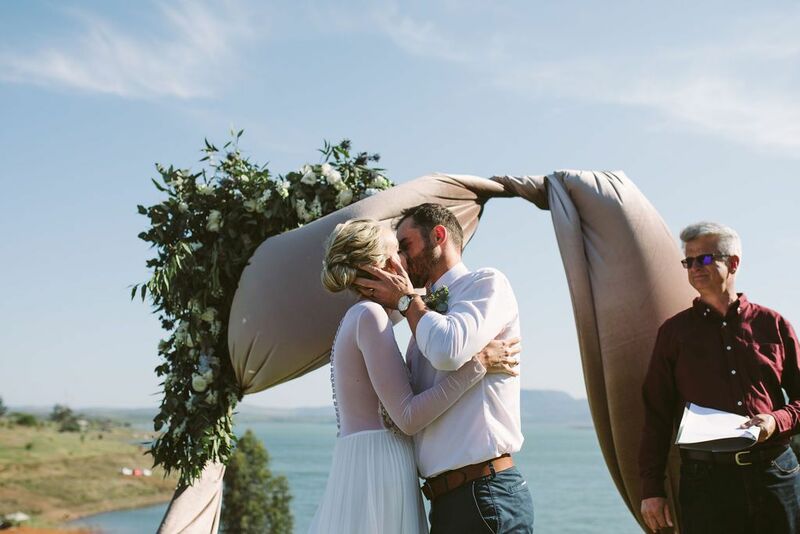 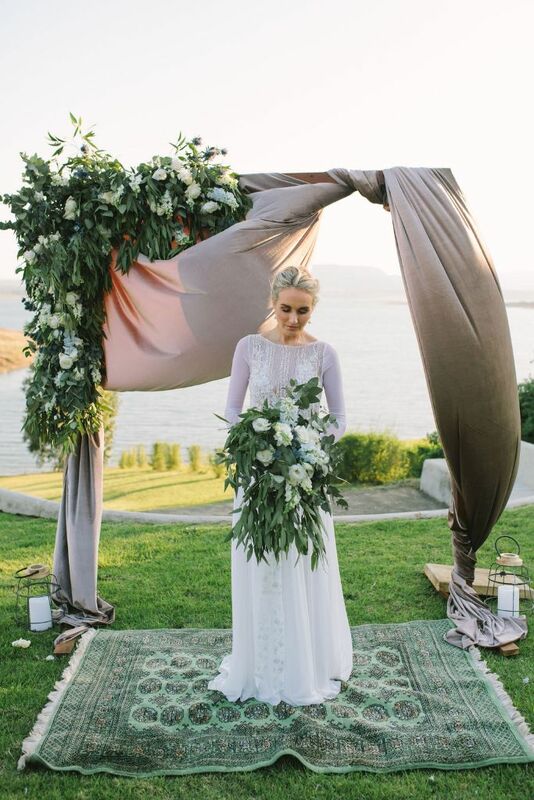 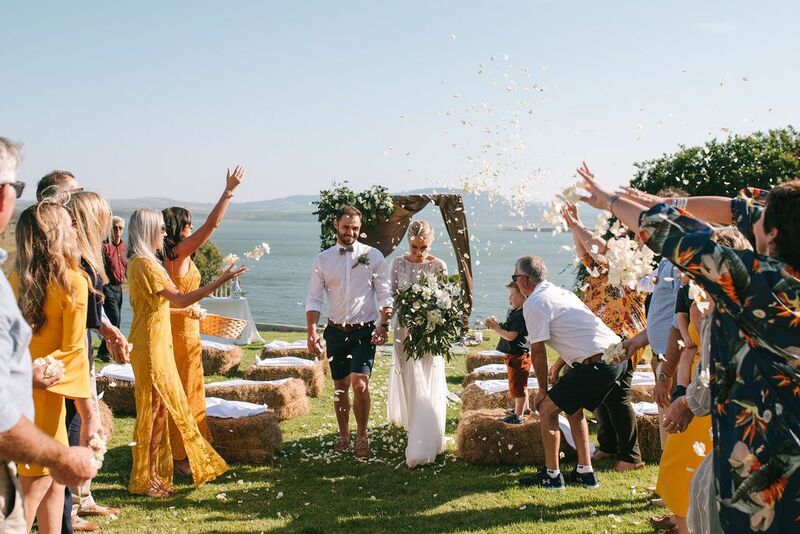 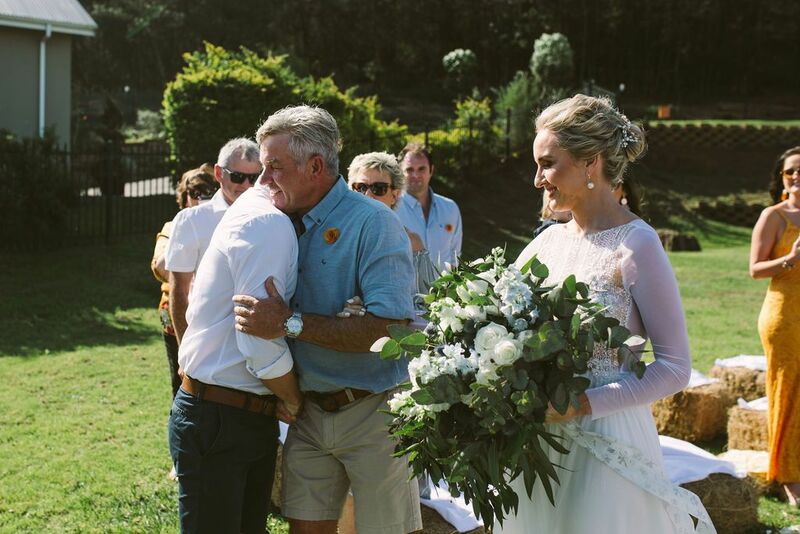 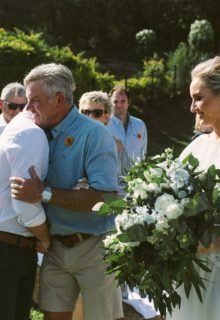 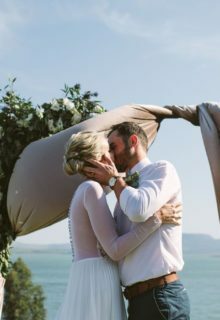 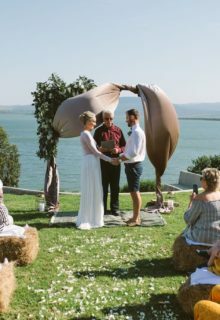 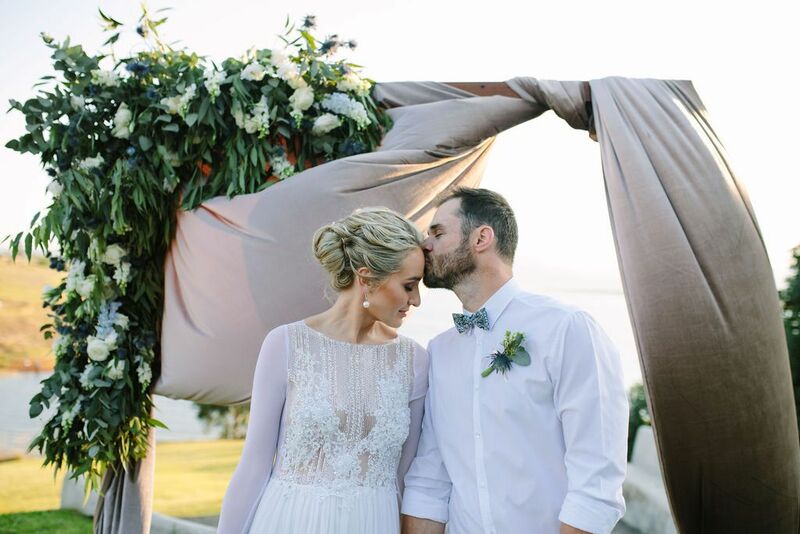 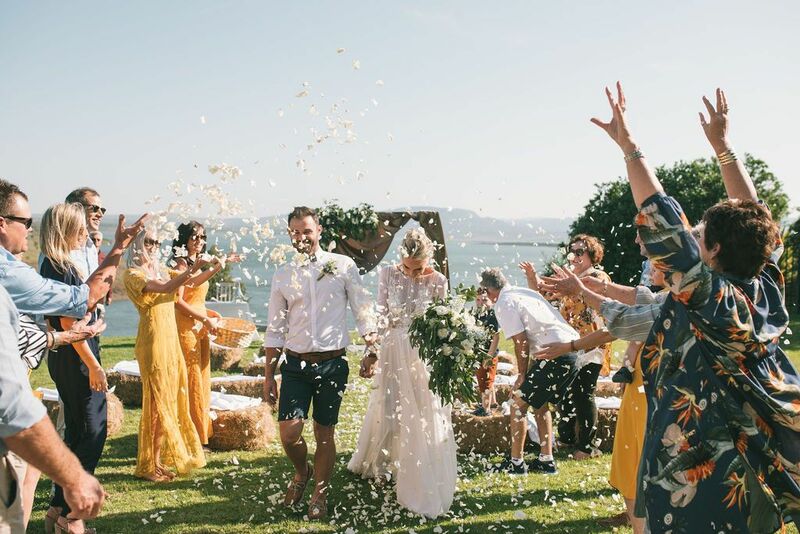 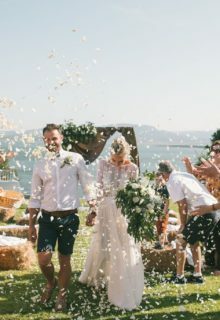 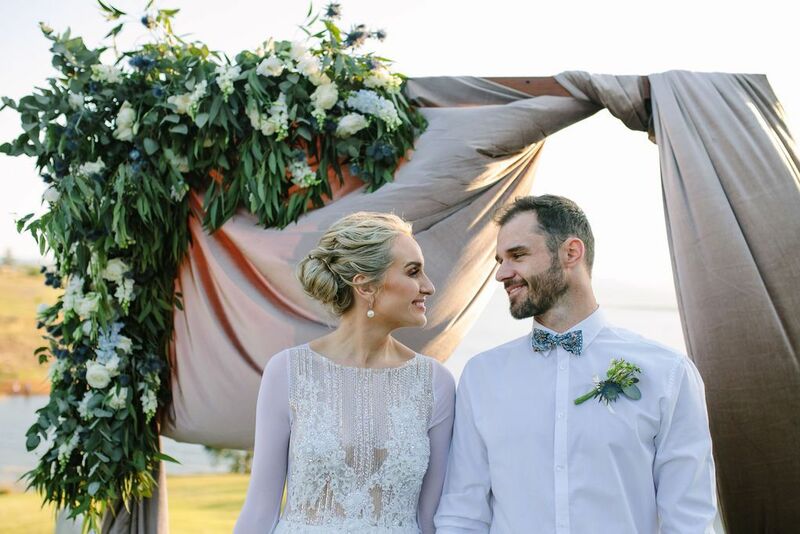 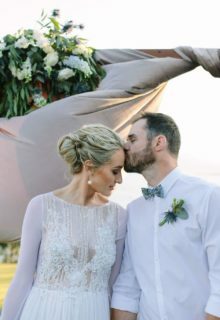 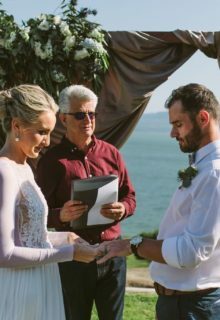 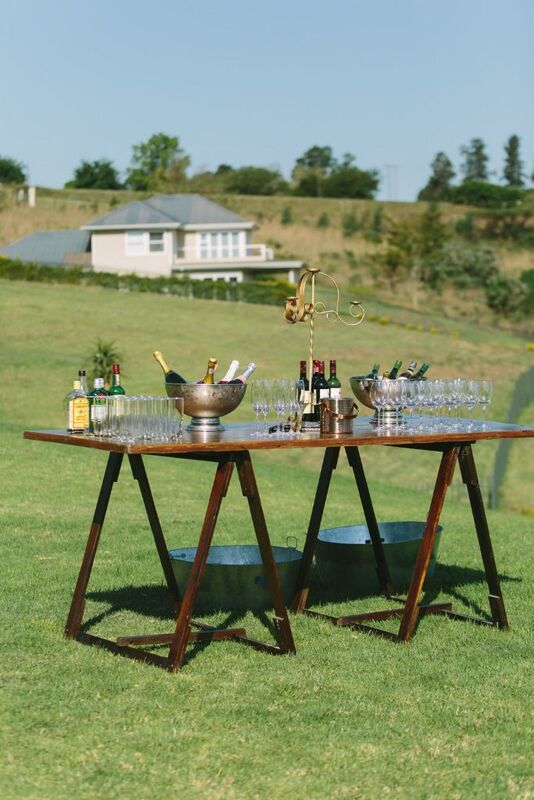 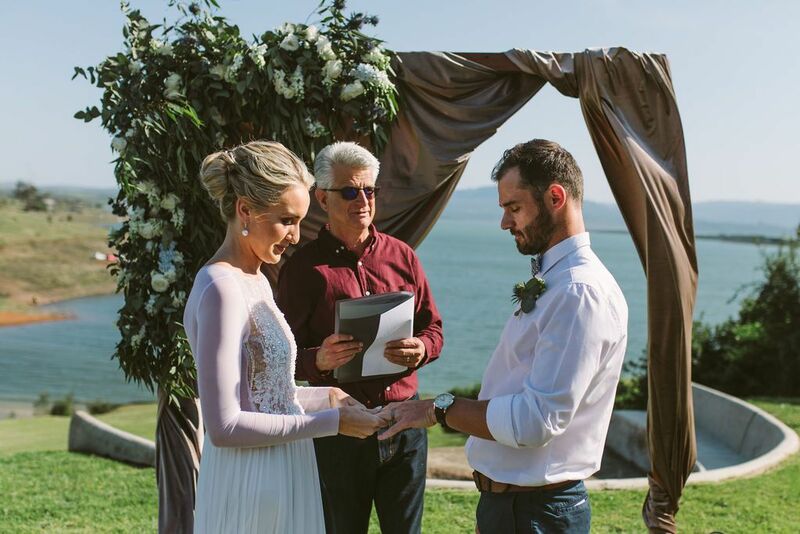 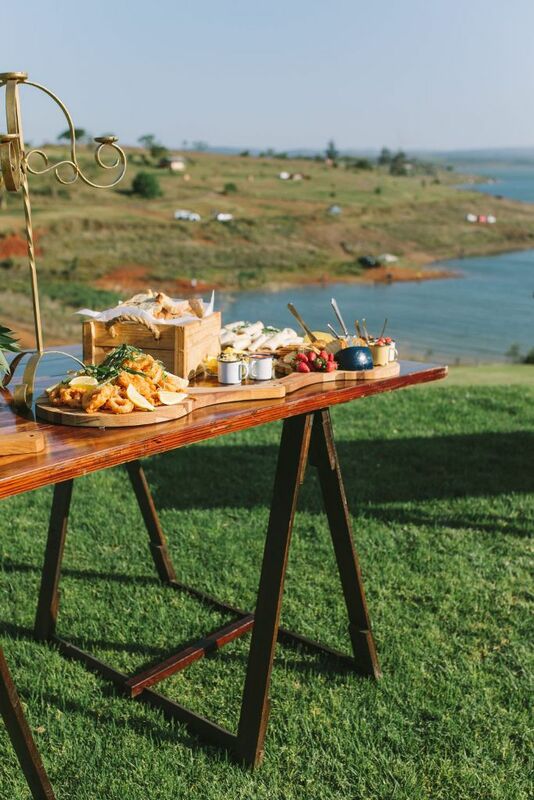 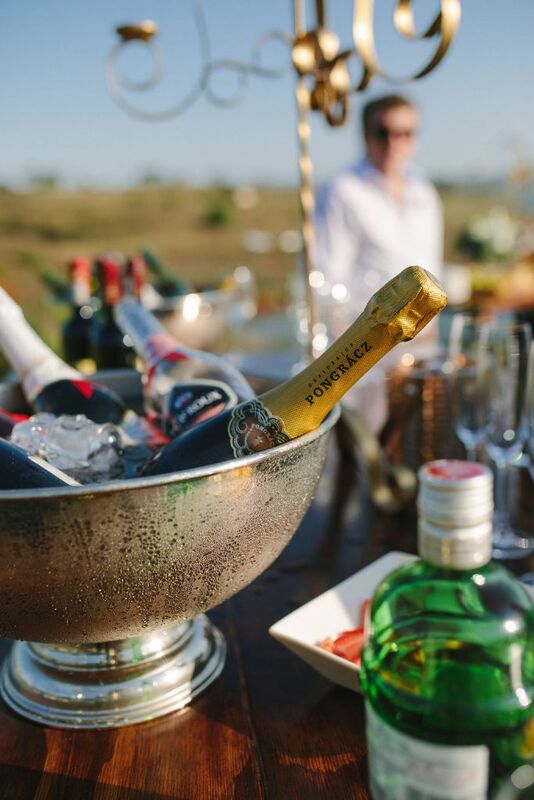 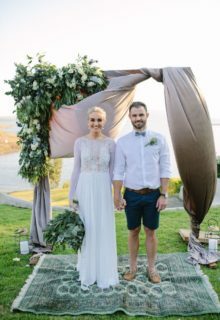 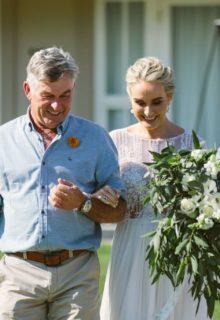 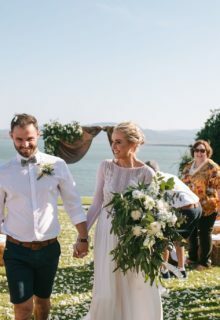 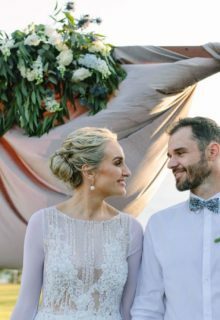 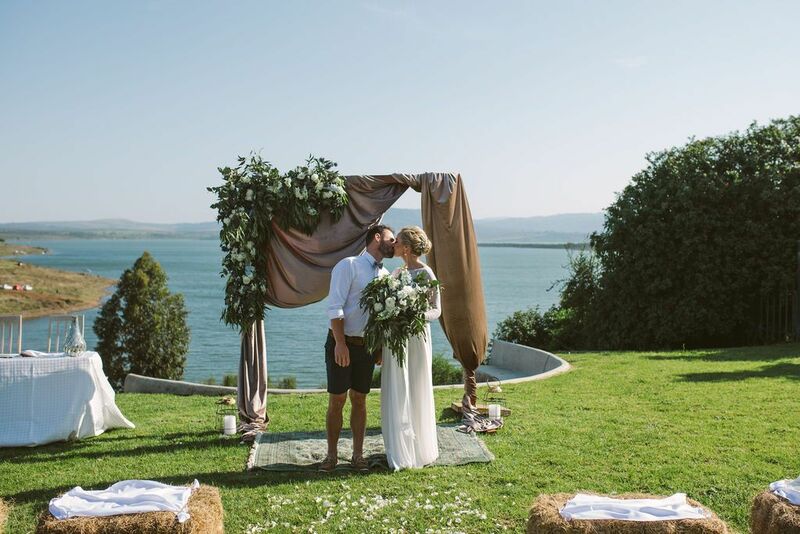 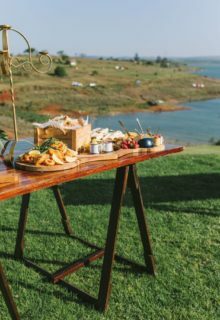 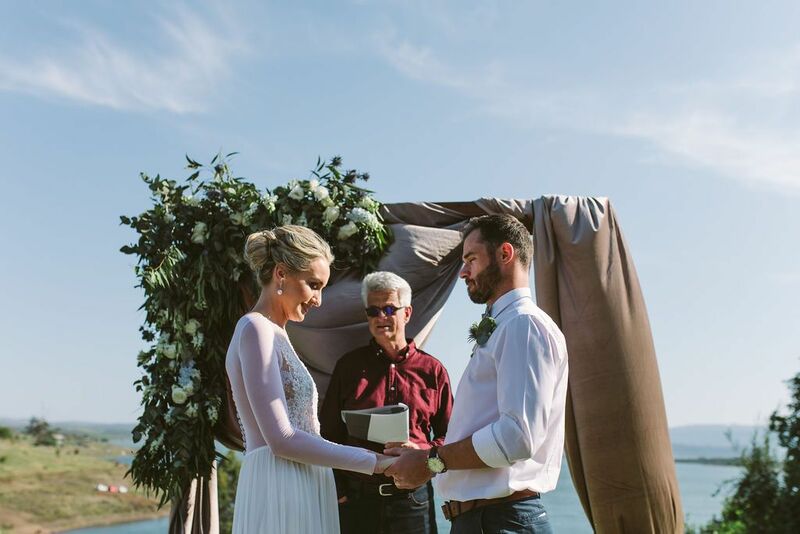 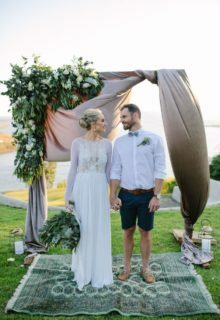 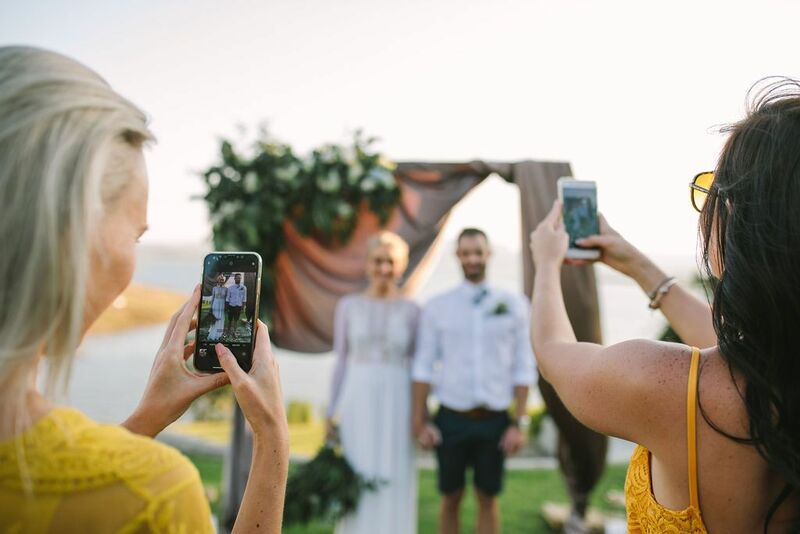 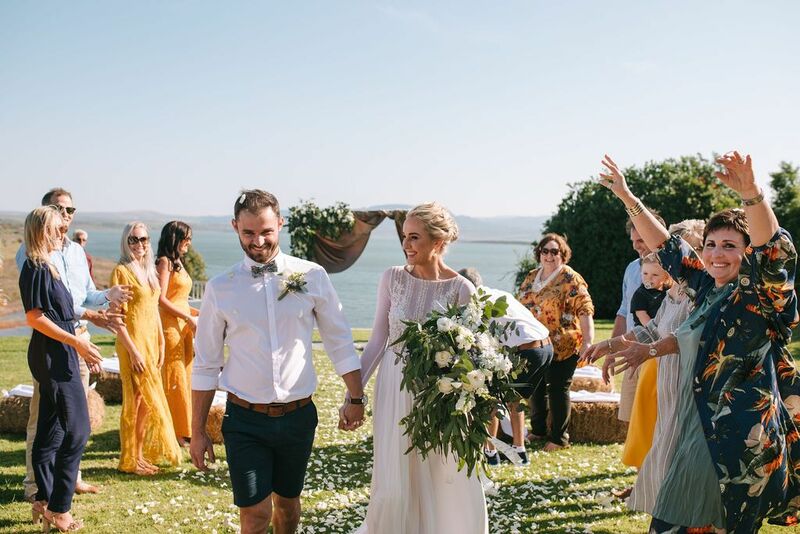 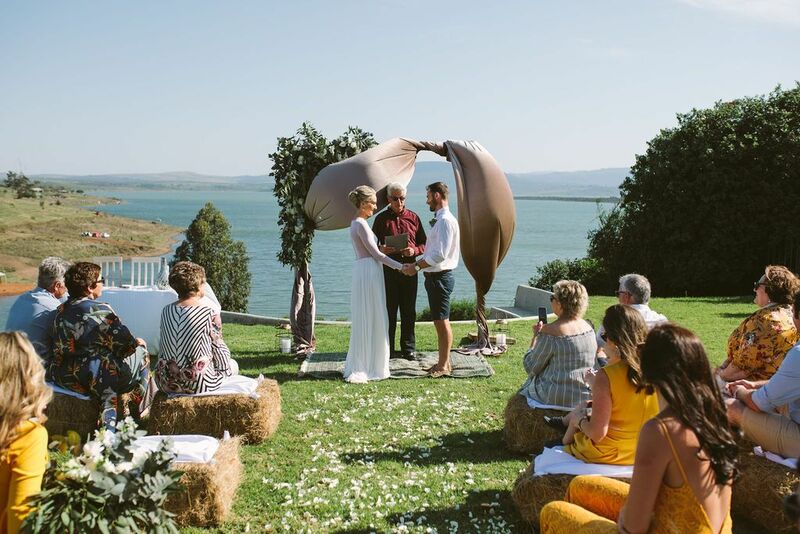 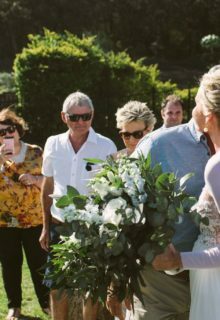 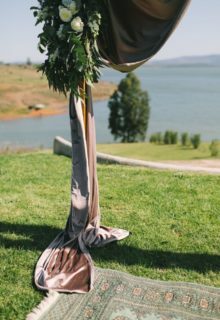 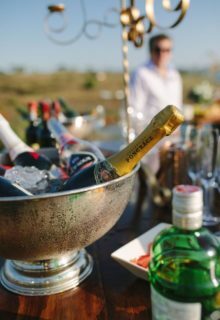 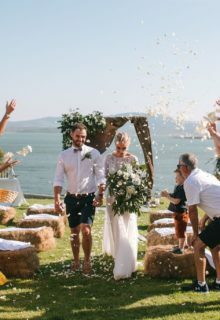 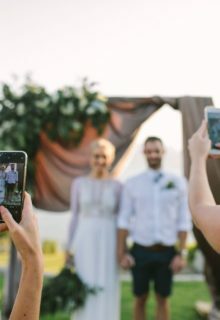 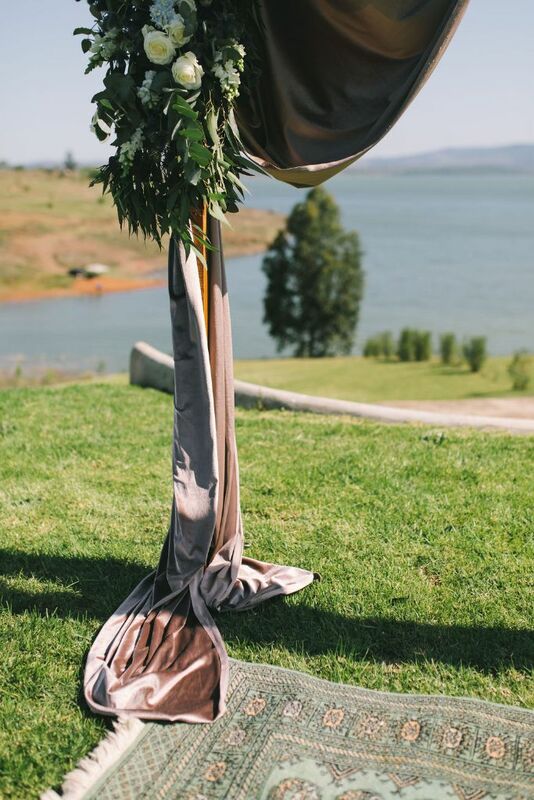 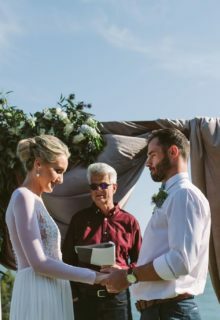 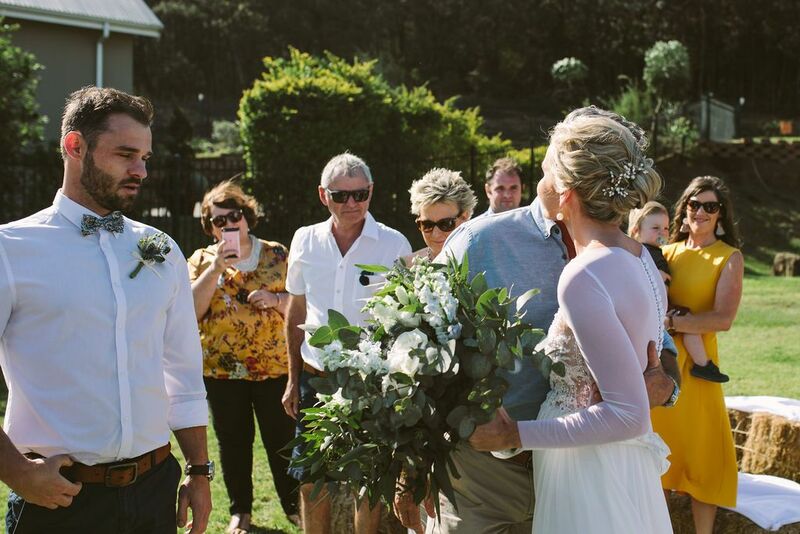 Anke & Shaun, such a stunning & easy-going couple, were married on the lawn of their family holiday home with the stunning views overlooking Albert Falls Dam. 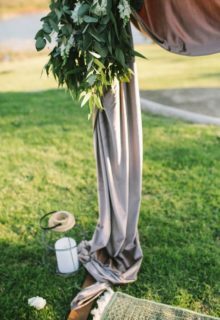 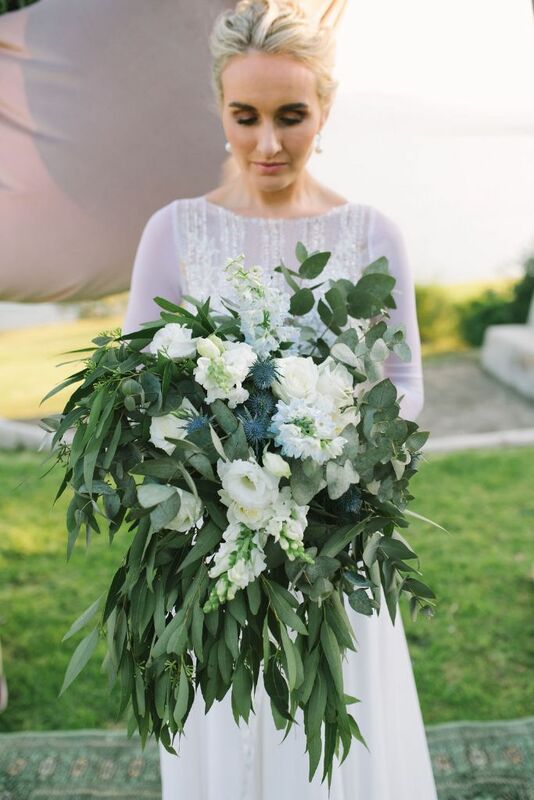 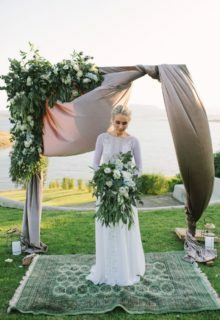 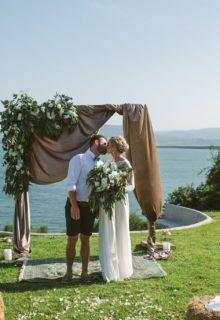 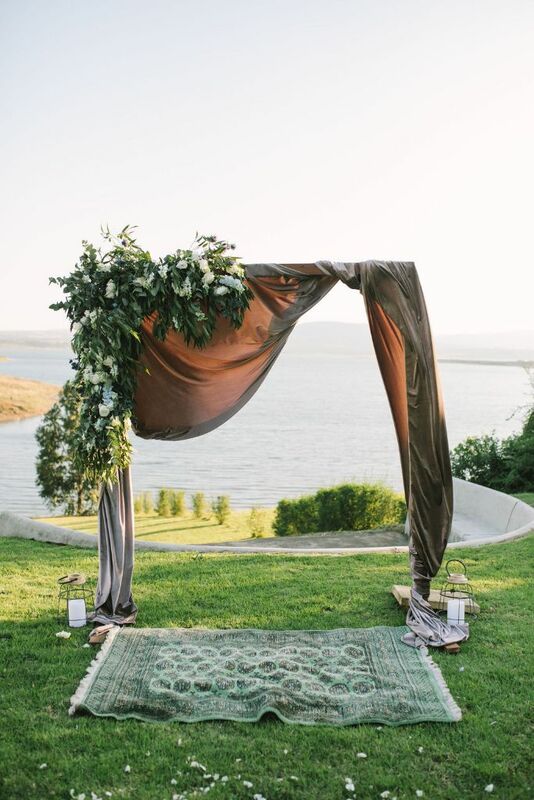 White flowers & lots of green foliage made this simple home wedding so beautiful! 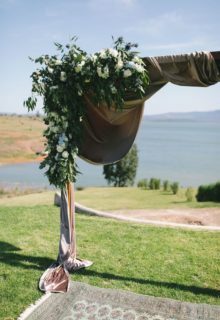 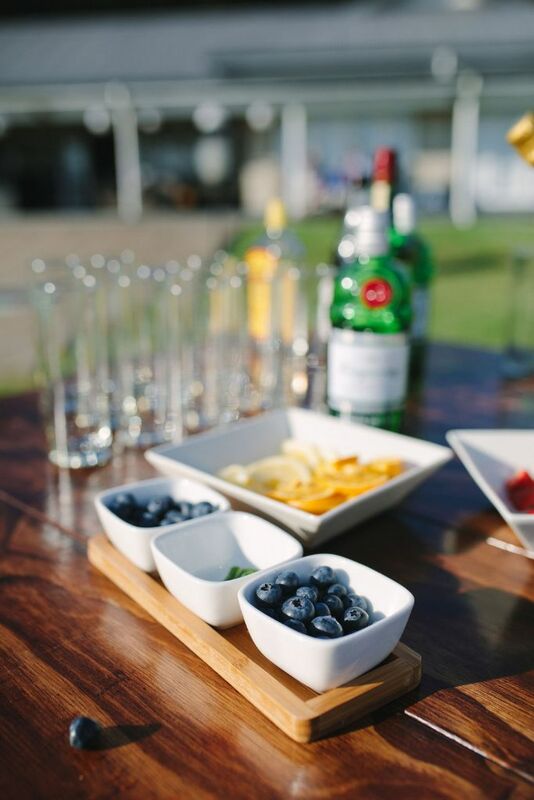 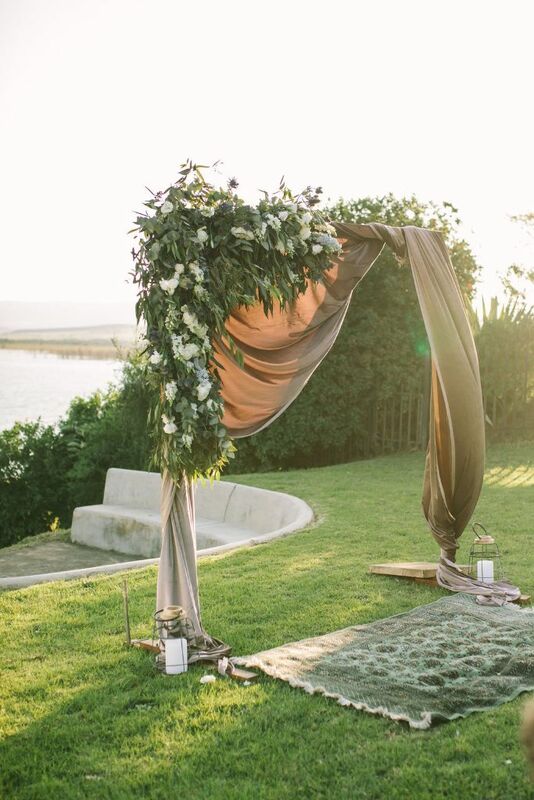 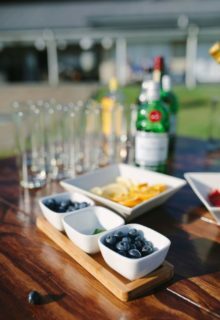 Natural Nostalgia arranged the bouquets, the arch, the canape flowers, along with set-up & styling on the day. 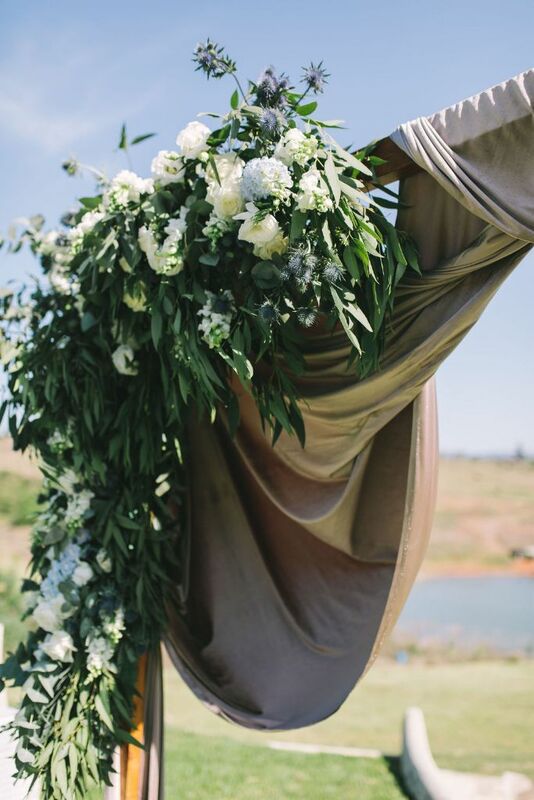 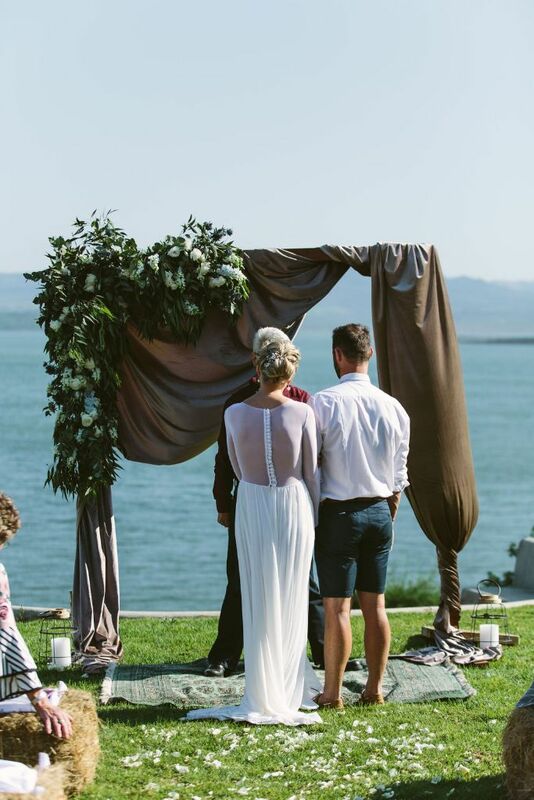 Photos by the talented Tanya Strauss – stunning!